March is going to be a busy month of looming for me. 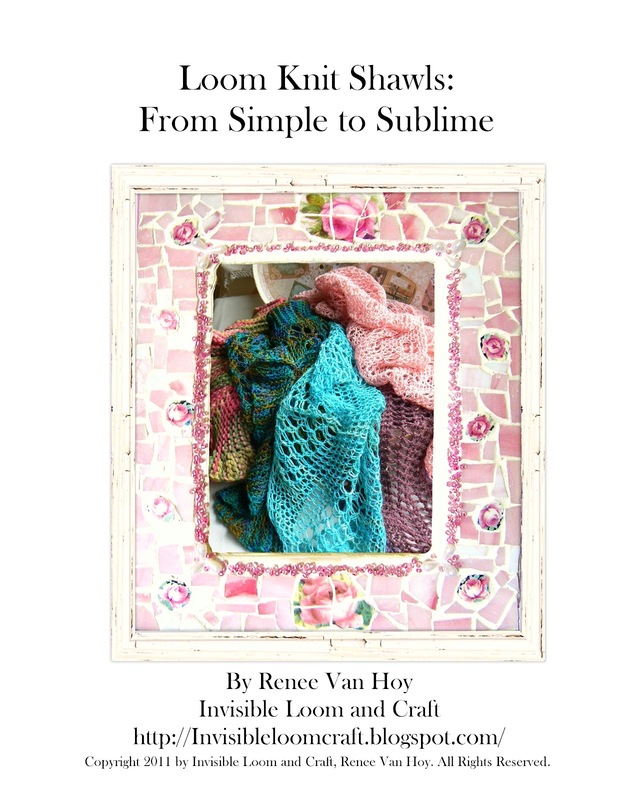 I have 4 designs completed for the new e-book project, and 2 left to work on. In the photo above is "Venetian Lace", an over sized asymmetrical scarf or wrap. Not a very glamorous photo, as it is being blocked, but it gives you an idea of how this lovely scarf looks. Around the net, there are several classes and loom-a-longs that have wonderful patterns this month. The Ravelry Loom-a-long group is working on my "Sweet on Ruffles" pattern, pictured in the second photo. The "Peaceful Days Shawl" is being loomed as well. 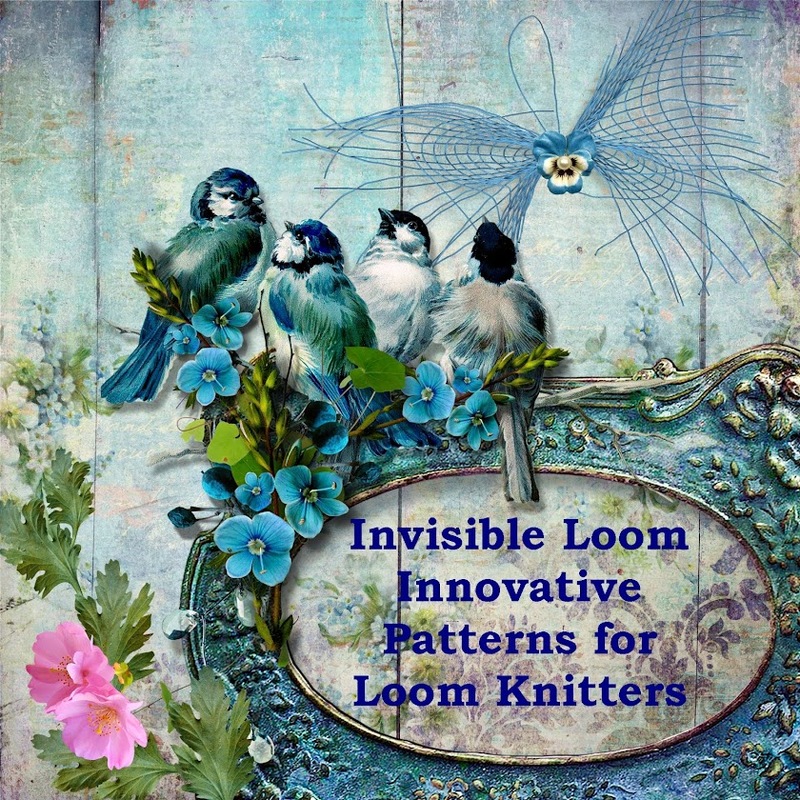 The loom-a-long continues through March, so please come and join in. If you want to make some toys, the Loom-a-long group is also working on a sweet kitten and bunny during March and April. The Yahoo Loom Class group has toys for March. Cute "Mr. Egg" taught by Graciela Worth the first two weeks, and Bethany Dailey's adorable "Mr. Wobbles" the penguin the last two weeks of the month. I hope something fun is on your loom! Copyright 2012 by Invisible Loom, Renee Van Hoy. All Rights Reserved.